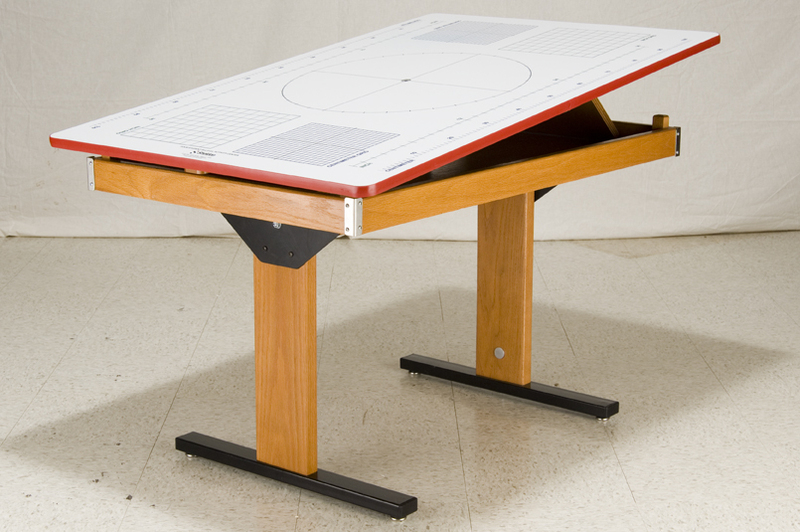 The Bi-Level Table is the perfect solution for hands-on learning. As tough as it is versatile, the work suface has brightly colored scales, number lines, and grids. Data can be directly recorded and wiped clean. The top can be adjusted to four different positions, including standing and sitting heights, drafting and incline plane. Imprint top is write-erasable and can be maneuvered in four different positions. All the manually operated mechanisms are securely locked with a steel locking bar and locking tabs. The unit is secured into a single assembly allowing the center to be moved about or lifted off the floor. Includes one set of upright rods, consisting of two clamp-on uprights with “C” clamp bases, two 90-degree connectors, and one horizontal cross bar.